Are you looking for some awesome ways that you can update your home? You have come to the right place because we are going to talk about some of these in this article. If you are looking to do this on a budget, it is not always the easiest thing to do. But, with the tips that we are going to discuss below, you are going to have a much easier time completing this task! So, keep reading to find out how you can update your home without breaking the bank. You might be surprised at what a new coat of paint can actually do. If you currently have a colour that doesn’t match the potential of your room, you might find that it is looking a little sad or outdated. If this is the case, all you need to do is find a new colour of paint that you love to brighten up your room. When we say brighten up, we do not mean that you need to find a bright green or fluorescent yellow for this, but a simple white or magnolia will also do the trick. If you are reading this and thinking that this isn’t going to make all that much difference, then give it a try for yourself and see! However, for some people, a plain white or magnolia colour isn’t going to satisfy their creative appetite. If this is the case for you, then you should find the colour that matches your personality. Don’t worry about what other people think about what colour you choose, as long as you love it and it makes you feel at home, this is what matters. So, if you like that deep purple or red, then go for it! Just ensure that you are thinking ahead in terms of the other items that you are going to be placing in each of the rooms. Does your home currently have any accessories to decorate it? If the answer to that question is no, then this is one of the simplest ways that you can update your home! These do not have to be expensive, and in fact, you can actually find some amazing things to use as decorations fairly cheap! Do not make the mistake of buying the first thing that you like, because this usually ends up in regret. Make sure that you are spending a good amount of time shopping around to try and find the items that you like most at the best price. Otherwise, you might end up finding something else that you would have rather had, or find the same item for a much lower price. Whether you choose to go for ornaments, hanging decorations or anything else, your home is going to look fabulous for it. Paintings are also a great idea here. Are you into art? How many people’s houses have you been to and not seen at least one painting on their wall? Not many right. Yours shouldn’t be the exception here, even if you are not a particularly big art fan. There is always going to be some kind of picture that you like whether this is a painting, a photograph or a drawing. Hanging these in your home gives you something nice to look at when you are walking around, but also gives your guests something to comment on when they come over. When you are updating your living room, the furniture might be something that you need to look at. It might be the case that you haven’t changed your furniture since you moved into your home, and it now looks old. It’s time for a change, and you can find some high-quality leather sofas at a decent price. We know that doing this can be quite an expensive change to your home, but if you look around then you are going to be able to find some great deals. It doesn’t have to cost you your entire savings to find a good quality couch that the whole family can enjoy. Or, if you are worried about buying leather because you have pets or kids, then why not opt for a different type of material. This way, you are not constantly going to be worried that it is going to get damaged, but you can also find some great looking couches that are not made of leather. If you head over to your local furniture store, you are likely to find something that everyone can enjoy! Light fixtures are not something that people typically think about when they are redecorating their home, but if you are someone who only has plain light fixtures, you might want to consider this. We are not saying there is anything wrong with the basic kind of fixtures, but there are ones that you can buy at a good price that will make your ceiling look a little nicer. Look around online, and you are going to find a variety of options to suit all of the rooms in your home. You might be thinking that you don’t want anything too flashy, and this is fine! You can find some rather simple designs that are sure to impress even the toughest of critics! Many people have personal items around their home, and if you are not one of these people then you might want to consider adding this personal touch. By doing this, you are making this house feel like a home. What do we mean by personal items? Surely everything you own is a personal item. Well, you are right but we are talking about things such as family photos. Pictures of your wedding, your parents, your kids and so on are great for decorating your home. It takes up space on the walls so that they do not look so bare, and gives you something to smile at when you walk past them. Without these items, is your home truly going to feel like yours? You can even put up pictures of your pet, things that you love such as movie posters and things like this. These items are supposed to be there to remind you that this is your safe space, somewhere that is yours and that you can feel comfortable. Minimalist home design is becoming the most popular style in modern homes. If you are someone who likes to keep up with the trends, then this is certainly one for you to consider. The great thing about this is that it isn’t going to cost you anything as you don’t need to purchase more stuff, you need to put some away! If you want to embrace the minimalist lifestyle, then you need to have only the necessary items out on display. Everything else should be away in storage such as a cupboard or in the attic. If you are thinking of taking up this style, then you should disregard most of the other things in this article because they are not going to be relevant anymore. Your rooms are going to look a lot bigger than they previously did when they were full of clutter and this will provide you with more space to walk around or complete activities. Many people like this design because it is simple, so if simple is something that you are going for, then jump on the minimal home design bandwagon. Are you good with working with your hands? If yes, then you might want to think about completing some DIY for your home. It is often the case that buying materials cost a lot less than buying a finished product. As such, if you are on quite a tight budget, you should consider this option. Obviously, we are not talking about building your own couch, but you could try your hand at creating a table. These are relatively simple to make and you can follow tutorials online if you think this is something that you complete. Perhaps you want to start off with something a little more simple? If this is the case for you then you should start by making decorations for your home. Hanging ornaments, sculptures, and picture frames are all good places to start. Same as with the more advanced items, you can find tutorials online on how to do this. Have you ever walked into a bedroom and found that it just looks plain? The simple solution here is to find some bed sheets that you like and use these in all bedrooms in your home. They have the ability to tie the entire room together if you find the right ones. If you opt for brighter colours, it will lift your mood as soon as you walk into a room, and can transform a plain room, into something beautiful. 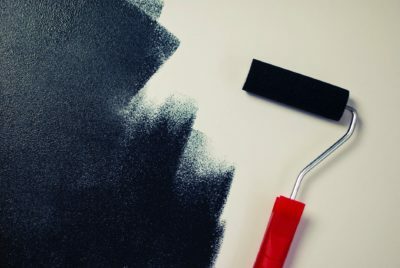 We hope that you have found this article helpful and will use this advice to update your home without breaking the bank!